Searching for a Plumber who Works in Town? If you need a plumber in Graham, then you should give John’s Plumbing & Pumps, Inc a try. 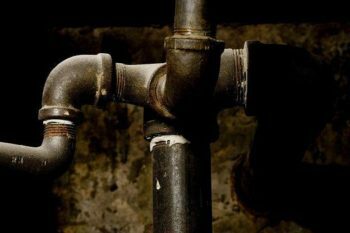 As a competent service plumber, we’ll come to your home or business when your plumbing isn’t working as it should. Our crew is experienced with all kinds of plumbing repairs and upgrades, so you can get whatever it is you need. What kind of upgrades do you do? New fixtures. Dual-flush toilets and deep basin sinks with garbage disposals can save you money while making things easier. Many newer sinks and toilets also have water conservation modes, so you only use the amount of water you need. Upgraded water heater. In a temperate climate like Graham, there are several options of water heater that could work for your property. Take a look at tankless water heaters and see if they might be a good option for you. Changing pipe material. Some plumbing materials, such as galvanized steel, were thought to be effective decades ago but came with numerous problems. We can do whole home repipes to stop the problems before they start. Haven’t had your pipes checked in awhile? Depending on the type of property you have, the recommended time to get a plumbing inspection varies widely. Typically, residential plumbing should be inspected about once year. For commercial plumbing, it depends on the size of your plumbing system, the materials it’s made from, and it’s usage. This can mean instead of an annual inspection, a quarterly inspection might be more appropriate. The inspection should include checking the plumbing fixtures, water heaters, and pipe conditions at a minimum. By having regular inspections, your plumber can notice the symptoms of a major concern and stop it before it starts! Do your plumbers come out to rural areas of Graham too? Whether you live near the center of Graham or you have a farm on the outskirts, our mobile plumbers will come to you. They’re experienced in working on septic tanks and private wells as well as city plumbing. No matter where you are, call us and we’ll find you! Can your plumbers handle all types of jobs? Absolutely! Our versatility is one of the things that sets us apart from other plumbing companies in Graham. 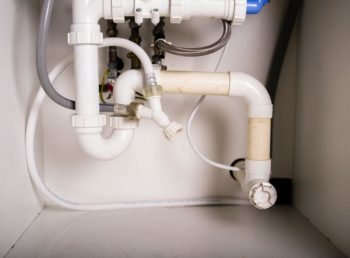 Clogged drains and toilets are just the beginning of the things that we can fix. Have a septic tank or a well that isn’t working as it should? We do well pump repairs and installation, as well as septic pumping and repairs. Is your water heater lukewarm at best? We do water heater repairs and new installations too. We can even do a main water line replacement or repipe your entire property! At John’s Plumbing & Pumps, we do it all, including water filtration and well water service. Give us a call or send in a contact form when you need a plumber in Graham.